Hello again dear follower, I hope you are well and are beginning to feel the joys of spring that is just beginning to show its head around the corner. Of late, I have taken to going out for a good old morning country walk using the many footpaths I have found around my home. Many of the paths criss-cross the arable fields and although muddy at times, are quite pleasurable to walk along. Everyday, I get to see more and more of the wildlife that inhabits our hedgerows and surprisingly close up too. Often, I see Wrens, Robins and Yellowhammers within feet of where I am standing. On one occasion, a female Sparrowhawk whizzed passed my knee from behind and swooped up to sit on a branch 20ft in front of me. 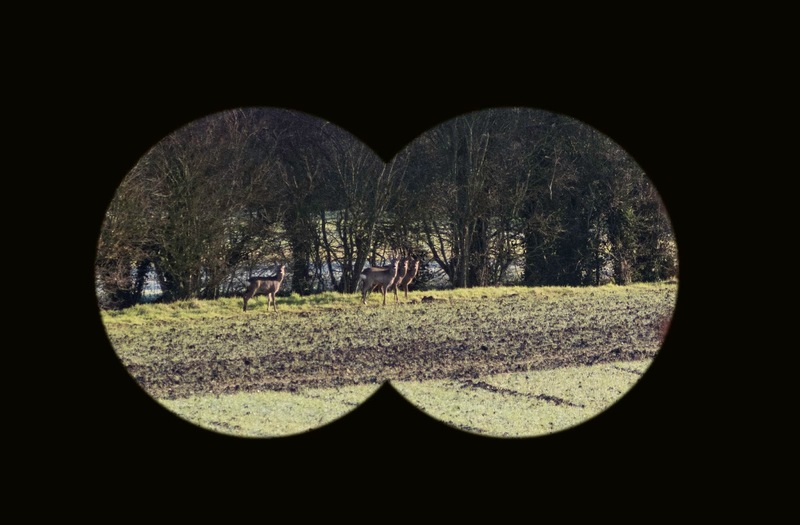 I stood watching her in all her magnificence through my binoculars, knowing that if I made a single move towards my camera that hung at my hip, she would be gone. Sure enough, as I lowered the binoculars, she was gone, leaving in her wake a chorus of alarm calls from the various small birds around that had spotted her presence. Although I didn't get a photo, I'm not bothered. As I often tell visitors to Lackford Lakes, where I work, who have seen something but failed to get a photo, just being able to sit and watch the creature can be rewarding enough and makes the moment even more special. All too often we can easily get caught up in getting the photo and not actually just taking time to sit and observe and admire the beauty that is siting in front of you. One of these moments came not so long ago when I had to go on an errand to Stradbroke for the wifey who was at work. Usually, I would jump in the car and be there and back in about 20-30mins, but I looked at my OS Map app on my phone and realised that it wasn't that far to walk, about 2 miles each way. So I donned my walking boots and set off. Part of my root takes me down what once used to be a railway line. The line was dismantled many decades ago though, possibly part of Mr Beecham's cuts, who knows? and is now a bridleway. There are no signs that it used to be a railway, now tall tress swaying in the wind on either side. Anyway, it was on this walk that something most unusual happened. A Barn Owl flew out in front of me, it was most unexpected for her as it was me, but the reason I did not expect it was because it was 10:30am, well past dawn and there was this beautiful creature flying down the path ahead of me. I did think of chasing her to try and get some shots, however, I didn't have the right lens on, I only had a 90mm macro on for some close-up work should the situation arise. My 200mm lens was sitting on the desk at home (no good there I hear you cry). So I just walked and watched as she flew off ahead of me and then over the next hedgerow. About 5 mins later I passed a small meadow enclosed by high hedgerows on all sides and saw the owl quartering the field in search of food. Barn owls can often be forced to feed late into the morning by the weather. If it's been raining the night before or has been a particularly cold night, food can be hard to come by. I walked into the field and crouched low to watch her hunt. I did manage to grab a couple of shots but she didn't come close enough for anything spectacular. 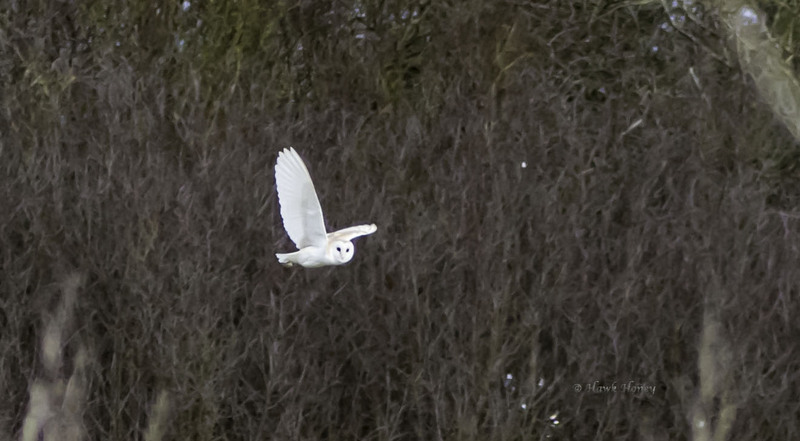 I seem to be seeing rather a lot of Barn owls of late, including a pair at work, whilst driving to work and even in the field outside my front door. I don't think I will ever get tired of seeing them either, such a beautiful bird, such an iconic figure of the British countryside. One thing I've noticed on my walks are the amount of deer footprints I come across. One for thing for certain is there are lots of Muntjacs around. Occasionally, I come across the odd Roe deer print, which as you can see, is much bigger. And one morning I was very lucky. On a walk and less than ½ mile from my house, I saw in the golden morning light what at first I thought was a large dog. But as I peered through my bins, I could see they were deer, Roe deer in fact! It was the one on the left that I had first spotted, she was standing up with the sun shining off of her side and when I first looked through the bins the three to the right (a stag and 2 does) were laying down and I would've not known they were there. They heard and saw me from a long way off despite the fact I'm not a noisy walker, you see so much more by being quiet, and they watched me warily as I walked the path that was perpendicular to theirs. Even though I wasn't walking directly towards them, the were taking no chances and decided to head off across the fields. I know, the world is full of petitions. Everywhere you look there is a petition against some thing or other. But recently, I got chatting to a bloke who claimed to be an ex-gamekeeper, he seemed a nice enough fellow and told me how he had his little quiet hideaway in the woods where he would sit and admire nature. He then went on to tell me how it was his duty to set up the pheasant and grouse shoots for his employer and how he always aimed to miss when given the opportunity to shoot because he thought wildlife "was amazing, except for badgers" he went on. 'Sorry" said I. "There bas*^@$" he went on, "used to set snares for them to protect the pheasants and grouse against them and foxes. Set one snare tied to a fence post once, went to check it and the snare and fence post were gone. Eventually found it much later 500yds away with a dead badger attached to it." I was horrified to say the least, I politely made my excuses and went on my way, I really did not want to listen to another word this man told me. When I got home, I got onto the internet to check whether snare trapping is a legal practice and I was amazed to find that this was true. This barbaric way of animal control can quite legally be carried out. For this of you who do not know what snare trapping is, I will tell you, but don't worry, I won't post any horrific pictures as I feel the description is usually enough. It involves tying a stiff wire in the form of a crude noose and then attaching that to a stake or fence post. The snare is usually placed on a well worn animal track, which are easy to see to the trained eye, and are totally indiscriminate. The animal whether it is fox, rabbit, hare, badger or even otter or household pets will usually run along the track and its head will go through the noose. The noose is designed in such a way that it only tightens and will not loosen, so as the animal struggles the noose tightens even more, cutting into the skin and eventually (sometimes it may take hours) strangling the poor creature within. I think that is descriptive enough to warrant not posting a photo of the outcome and to think that this practice is still legal in this day and age I find mind boggling. So I decided to set up a government petition to outlaw the use of these traps. You can sign the petition here and please pass this link onto your friends and family using social media or any other way you see fit. I thank you greatly in advance. I seem to be having some problems with my cameras on the home front at the moment. Two cameras I have, suddenly without warning ceased to work within two weeks of each other. Why I have no idea, but thankfully the nice guys at Handykam.com have looked at them and found one was faulty and replaced it, but found the other one to be working fine, strangely. So hopefully, over the weekend I'll get these back in to position and I'll get some nesting activity on the camera. Bizarrely, whilst the two cameras were away being looked at, another camera of mine in a nest box stopped working, yet, 3 days later, it's back to normal with no problems at all. Right, I better be off, gotta get ready for my radio piece with the wonderful Lesley Dolphin on BBC Radio Suffolk. We're talking bumblebees today. Till next time dear follower, keep safe, keep smiling.